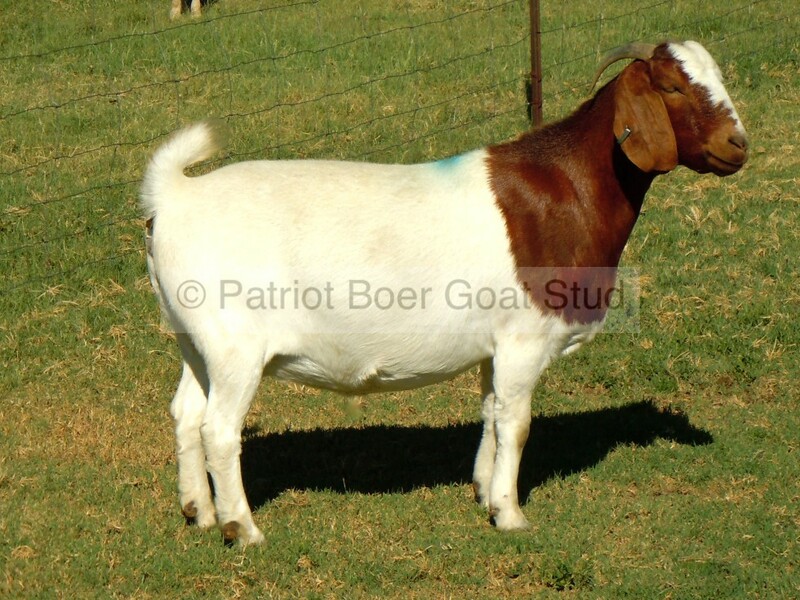 Your initial impression of Patriot Boer Goats is their outstanding conformation, size, uniformity and excellent good health obtained only from well-managed natural veld grazing. We strive to breed large-framed animals with sturdy legs that allow them to walk long distances over rough terrain easily. A smooth hair coat is important to ensure that burrs, thorns, seeds and other irritants are avoided. This smooth coat grows a thick undercoat with the onset of winter, protecting our animals against the severe winters we experience. While a tawny sand colour through to dark chocolate brown head and neck is acceptable according to the breed standards, our personal preference is for a rich dark brown that emphasises the noble heritage of our beautiful Boer Goats.